*”The Real Housewives of Atlanta” is filming its season seven. 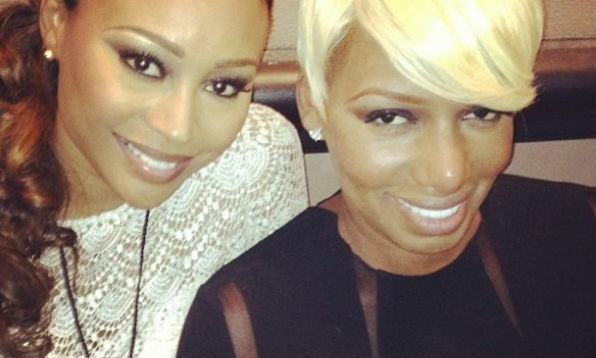 And allegedly, this is helping Cynthia Bailey and NeNe Leakes repair their friendship. “It’s a friendship. We had a rough patch and I’m really looking forward to moving forward with her,” Bailey said to WCCB’s QC Scene. But didn’t Leakes make it clear she would never be friends with Bailey again on multiple occasions in the past few months? But Bailey hinted at a new friendship. “You just have to watch the show to see how the dynamics of our relationship, friendship has changed and evolved,” she said. But could it be Bailey is too optimistic? Leakes seemed to lash out at her via Twitter. She added Bailey is trying to selling her soul and then deleted the tweet with a photo of a $1 bill. “The problem with selling your soul and making a deal with the Devil for money is that it NEVER works out in the end,” Leakes said. What an A$$ kisser. Leave it along Cynthia.